There are some good pieces in place for the A's, but it's unlikely the team can shake last year's disastrous campaign to return to contention this season. This week, SI.com is previewing all 30 MLB teams for the 2016 season, counting down to the No. 1 team in the league. At No. 29: the Oakland Athletics. The A’s have been going through a tough breakup for the better part of two years, sitting on their recliner with a tub of ice cream in their laps and tears streaming down their faces. A heart-breaking 1–0 loss to the Royals in the 2014 AL wild-card game and a disastrous campaign last year have left a dismal mood in Oakland. But while there's not exactly plenty to look forward to this season for the A's, there is some promise on the horizon. Marcus Semien, 25, is slowly building himself up into a legitimate starting shortstop. Centerfielder Billy Burns has been a pleasant surprise, and righthander Jesse Hahn was about as consistent as 25-year-olds come before his elbow injury last season. Semien, in particular, could be poised to break out in 2016: His defense is much-improved, and he finished last year on a high-note at the plate, hitting .283/.352/.478 with seven homers from Aug. 1 through the end of the season. 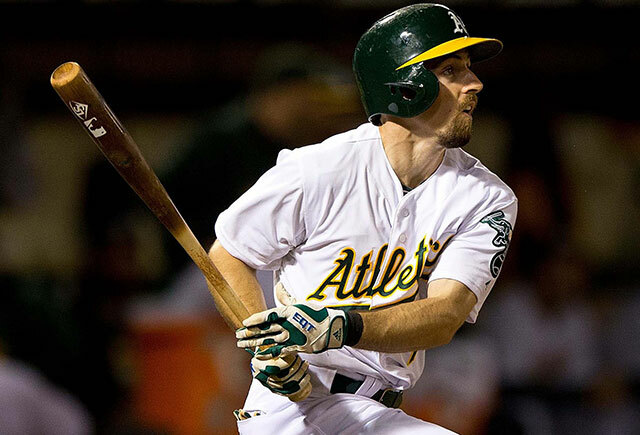 Old friend Jed Lowrie is back after a rough season in Houston to rescue the A’s from their second base issues, replacing the jettisoned Brett Lawrie, and he will join newly-acquired outfielder Khris Davis toward the front of the order. Between Davis, rightfielder Josh Reddick and catcher Stephen Vogt, the meat of Oakland's lineup hit a combined 65 home runs last year. You can say this about Oakland—there’s the potential for ‘boom,’ but ‘bust’ isn’t likely in the cards. At the very least, the team's offense will be average. Oakland's rotation is also fascinating, if nothing else. Lefthander Rich Hill (signed to a one-year, $6 million deal this winter) is the club’s new No. 3 starter after a magical 2015 with Boston that saw him post a 1.55 ERA in 29 innings. Hill hasn’t been bad in his short major-league stints over the past two years—injuries have been his downfall, not performance—and if he can re-create what he did in a short stint with the Red Sox, then the Athletics will get a lot of bang for their buck. Even if Hill can't contribute that much, the A's should survive. Hahn will be back from injury, and you could ask for much worse out of your No. 4 than Kendall Graveman, who was roughly league average last season (99 ERA+ in 115 2/3 innings) but still has room to grow at 25. And the A's still have the right arm of Sonny Gray, who last year posted a 2.73 ERA, 147 ERA+ and 5.8 Wins Above Replacement, good for seventh among all pitchers in 2015. There’s reasonable doubt that Hahn will shake his elbow injury and return to the starter that he was last summer. In order to try to stay healthy, he’s eliminated the slider from his arsenal and will opt to lean on his changeup more, but he could very well be limited this season and in years to come. Betting on Hahn and Hill to solidify the second and third spots in the rotation is bold, and there’s not much behind them either. Oakland’s bullpen ERA of 4.63 was third-worst in the bigs last year, and while righthanders Ryan Madson and Liam Hendricks were solid additions this off-season, it's asking a lot for them to shrink that number substantially. The success of this unit will rest on the left shoulder of closer Sean Doolittle, whom the Athletics hope to get a full season out of after he missed most of last year with a slight rotator cuff tear. The 26-year-old Burns, taken in the 32nd round of the 2011 draft by the Nationals and acquired by the A's for lefty reliever Jerry Blevins after the '13 season, was a revelation for Oakland last year. He hit .294/.334/.392 in 555 plate appearances, stole 26 bases and scored 70 runs. That, coupled with a solid glove in centerfield, made him worth 2.8 WAR last year, good for second among hitters on the team behind Reddick and Vogt (who tied for first). That’s all the Athletics have received in return (in WAR) for reigning AL MVP Josh Donaldson, who was traded to the Blue Jays before last season. The combined efforts of Lawrie, Graveman and lefthander Sean Nolin paled in comparison to what Donaldson did in a career year for Toronto, posting 8.8 WAR. Two pieces of that deal are already gone: Lawrie was traded to the White Sox in December for two minor leaguers, and Nolin was released over the winter to make room for Davis (and subsequently signed with the Brewers). The fourth player sent to Oakland, shortstop Franklin Barreto, is still a while away from being pro-ready; the 20-year-old topped out at high A ball for the A's last year, albeit performing well (.302/.333/.500 in 364 plate appearances). "He’s a $30 million one-trick pony, and if you run out of that one trick, you can't hide him." "I think if he were on a championship-quality team, he could've perhaps been a Cy Young winner last year. I don't think the world knows how good Sonny Gray is."